In England the Last Night At The Proms concert is the culmination of a festival of promenade concerts and features a variety of lighter and more popular classical musical items and performers. 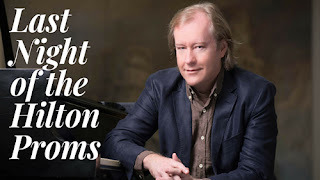 KZN virtuoso concert pianist and Steinway Artist, Christopher Duigan, used this as the theme for the concert he designed for the Hilton Arts Festival this year. That the concept was a hit with festival-goers was apparent from the unusual sight of Hilton College Chapel being filled to capacity. The concert featured superb Soprano Bongiwe Madlala singing opera favourites, including the beautiful O mio babbino caro from Gianni Schicchi by Puccini. The popular “Singing Dean”, baritone Federico Freschi, contributed the ever-popular Largo al factotum from the Barber of Saville by Rossini as well as Agustín Lara’s Granada and two musical theatre items. Pietermaritzburg Girls High School’s award-winning choir as well as their Chamber and Gospel choirs also took part. Unfortunately for me, as accomplished as the choirs were, the music they produced was too much of a muchness and it lacked the up-tempo verve which was required for an event such as this. 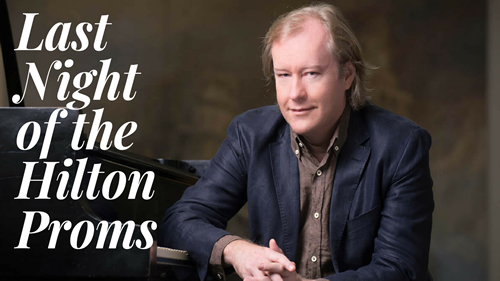 Organist Christopher Cockburn performed Handel’s Arrival of the Queen of Sheba on the chapel’s magnificent pipe organ and Christopher Duigan was at his virtuosic best for Liszt’s Hungarian Rhapsody No. 6 and Liebestraume No 3. The concert was rounded off with the audience joining in for the Proms staples, Land of Hope and Glory and Rule Britannia. While this was a most enjoyable and festive event, I must mention that the Hilton College stone-built Chapel, while an attractive building and acoustically good, is the most uncomfortable venue at the festival. Designed more to punish schoolboys than for the comfort of festival-goers it has extremely hard pews which face across the chapel rather than to the front. Long before the end the audience are all experiencing pain in the nether regions and a crick in their necks.